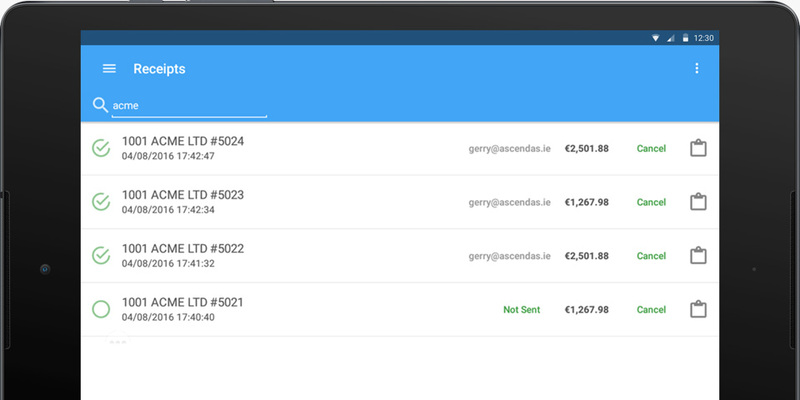 AMR is a bespoke mobile collection solution for the Irish Local Authorities. It has been purchased by the following authorities: Meath, Clare, Laois. Receipt money anytime or anywhere using standard Android tablet. Sync accounts daily over Wi-Fi. 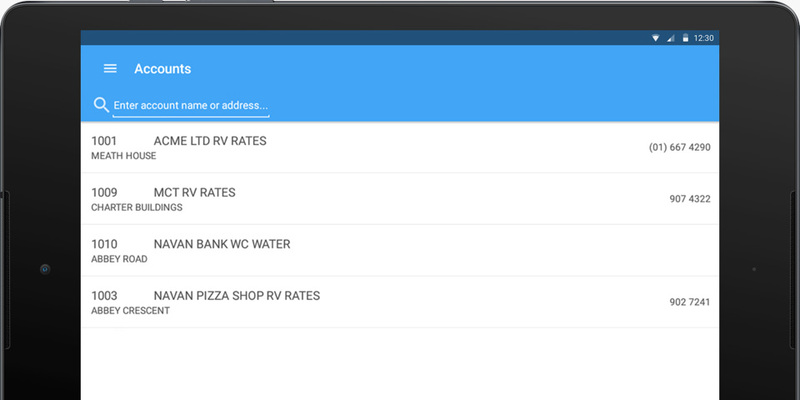 Simplified search, search by name, address or customer number. 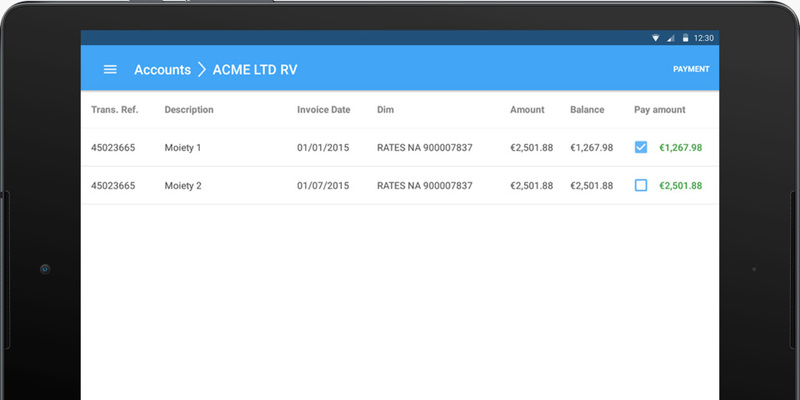 Supports part payment or full payment of multiple invoices. 3 ways of delivering receipts: print with bluetooth printer, send via email (integrated with MS Exchange), send via SMS.